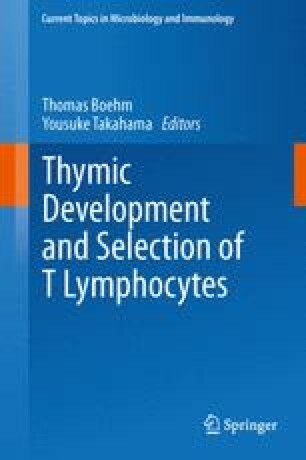 The development of CD4+ helper and CD8+ cytotoxic T-cells expressing the αβ form of the T-cell receptor (αβTCR) takes place in the thymus, a primary lymphoid organ containing distinct cortical and medullary microenvironments. While the cortex represents a site of early T-cell precursor development, and the positive selection of CD4+8+ thymocytes, the thymic medulla plays a key role in tolerance induction, ensuring that thymic emigrants are purged of autoreactive αβTCR specificities. In recent years, advances have been made in understanding the development and function of thymic medullary epithelial cells, most notably the subset defined by expression of the Autoimmune Regulator (Aire) gene. Here, we summarize current knowledge of the developmental mechanisms regulating thymus medulla development, and examine the role of the thymus medulla in recessive (negative selection) and dominant (T-regulatory cell) tolerance.